An entrepreneurial student team from Lambton College was crowned World Champions at the 2018 Enactus World Cup last week in San Jose, California. Lambton competed against 30 other international college and university teams to reach the finals, where it faced off against Egypt, India, and Morocco. 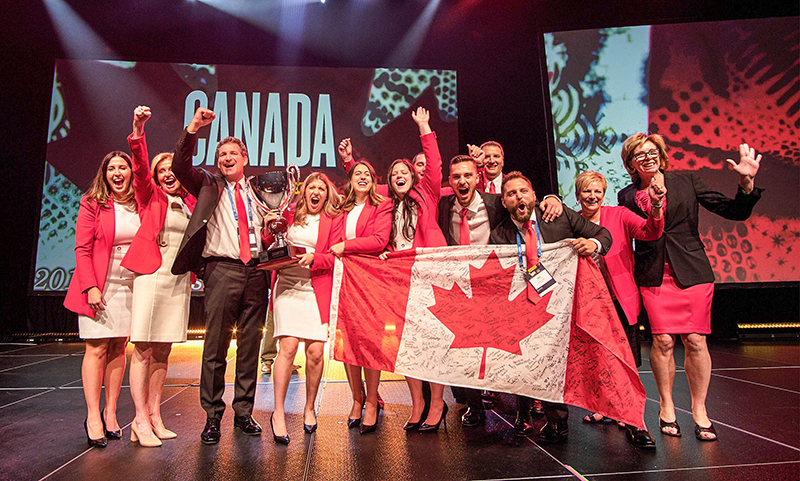 The victory made Lambton the first Canadian college to ever win the Enactus World Cup. “I am extremely proud of the students and faculty advisors involved with Enactus Lambton,” said college president and CEO Judith Morris. Starting in 2012, Enactus Lambton launched a series of projects in Africa that include agricultural training, improved farming practices and a thriving peanut butter factory that now produces 2,000 jars a week for a major African grocery chain. The yield and revenue of local farmers have increased three to five times, and they can now feed their families year long and have disposable income. The Lambton initiative has included 25 trips to Zambia, 395 students, thousands of kilometres and 53,000 hours of volunteer time across 30 projects. “To become the first Canadian college to ever take home this prize, is truly an exceptional honour,” Morris said. Lambton won the national championship in Toronto in May to earn the right to compete in California. The three-day event in San Jose included more than 3,400 delegates, including university and college students, academic professionals, and business leaders. The schools showcased community outreach projects and business ventures through rounds of live competition. “They are shaping the future, today,” said Jim Vella, President of Ford Motor Company Fund and a member of the Enactus Board of Directors. For more information on Enactus Lambton and its social impact go to enactuslambton.org.